Perhaps we need a digital equivalent. Tick a box on your Amazon Kindle account, and authors who put a snippet of anti-spoiler code in their ebooks / graphic novels / audiobooks get their story protected from ‘jump-ahead’ readers. That might also be accompanied by a code-of-conduct for troll-reviewers on Amazon: you hide your plot spoilers in a cloaking code-wrapper, and those who don’t want to read huge spoilers don’t have to. It would be in Amazon’s financial interests to do that, as if the plot is spoiled in a big way, someone is then far less likely to buy the product. This entry was posted in ebook software, Musings by David Haden. Bookmark the permalink. A new 43,000-word anthology for the Kindle. 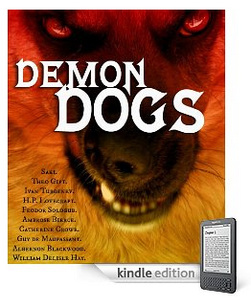 Tales of devil-dogs, hell-hounds, and other blood-curdling canines, from master writers such as: H.P. Lovecraft; Blackwood; Sologub; Bierce; Turgenev; de Maupassant; Saki, and others. A new 112,000-word anthology for the Kindle. 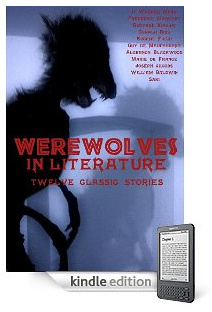 Some of the finest classic werewolf stories available, from masters such as: H. Warner Munn; Saki; Mattyat; Kipling; Biss; Field; de Maupassant; Blackwood, and others. GETTING WELL : a literary anthology on convalescence Buy on: Amazon USAmazon UK. 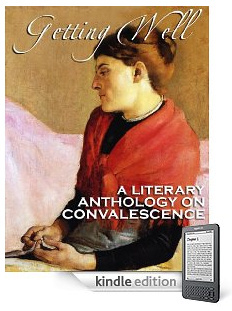 The first ever anthology on convalescence, exclusively available on the Kindle. Includes well-known authors such as Twain, Stevenson, D.H. Lawrence, Andersen, Chesterton, Goethe, Joyce, and Bennett, among others.